Part 2 of this set is a bit more challenging than the previous worksheet. Students select the correct pair to match the picture then they must rewrite sentences using synonyms. Enjoy! Peace Out!! The above downloadable teaching material was created for elementary school students at Elementary (A1) and Pre-intermediate (A2) level. 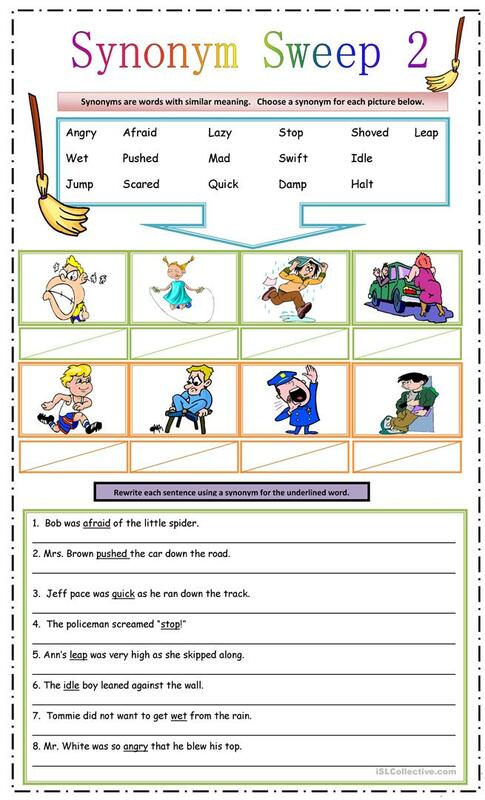 It can be used for improving your class' Reading and Writing skills. The exercises come with a key.